Your teeth are made of the strongest substance in your entire body. Unfortunately, that doesn’t mean they are invincible. 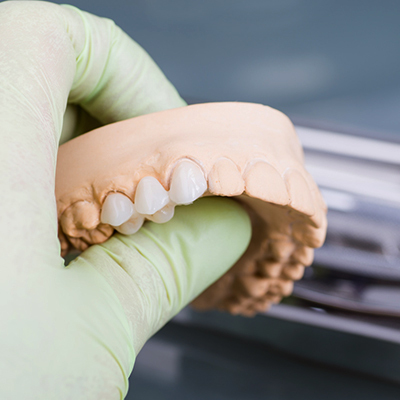 There are many factors that can lead to damaged or even missing teeth. At ConfiDenT, we are equipped to restore your smile to its optimal health and appearance. Our expertise in restorative dentistry allows us to repair teeth that have suffered traumatic injury, severe decay or other misfortune. To ensure you regain the smile you deserve, we proudly offer the most advanced restorative solutions in modern dentistry, from tooth-colored fillings, crowns and onlays to custom bridges, dental implants and more. Our team of talented dentists are known for creating beautiful and long-lasting results in restorative dentistry. When repairing your smile, we value the importance of providing solutions that help you regain proper dental function, maximum oral health and improved aesthetics. You can trust that our dentists are highly skilled in this field of dentistry, and they utilize the latest dental technology and equipment to enhance your treatments. At ConfiDenT, we deliver the best that modern dentistry has to offer, with the personalized and compassionate approach that patients deserve. If you have damaged teeth or missing teeth, consider our full menu of restorative dentistry options at ConfiDenT. 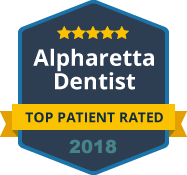 Contact our Alpharetta office today to schedule your consultation. We treat patients of all ages. Need affordable modern dental care? Best office ever! The staff is super friendly and event though I’ve only been here 3 times it feels like everyone here knows me personally. Lol weird I know right? But that’s just excellent service. Won’t go any where else but here for my dental care! The office staff are very friendly and helpful. Dr. George Dinulescu explained the process from cleanings, to root canals, to braces very clearly. Appointment's are set up very easily. This has been the best dental experience I have ever had. Prices are also very reasonable. Dr. Cesar and his staff are the best! Every time I go there I feel I’m in good hands and I don’t have to worry about anything. I did a lot of work on my teeth with them and i have more to do and definitely it’s the place to go. Thank you! Best dental office ever! My experience was absolutely amazing. Dr. Cesar's team made me feel really comfortable during my treatment. I highly recommend Dr. Cesar!